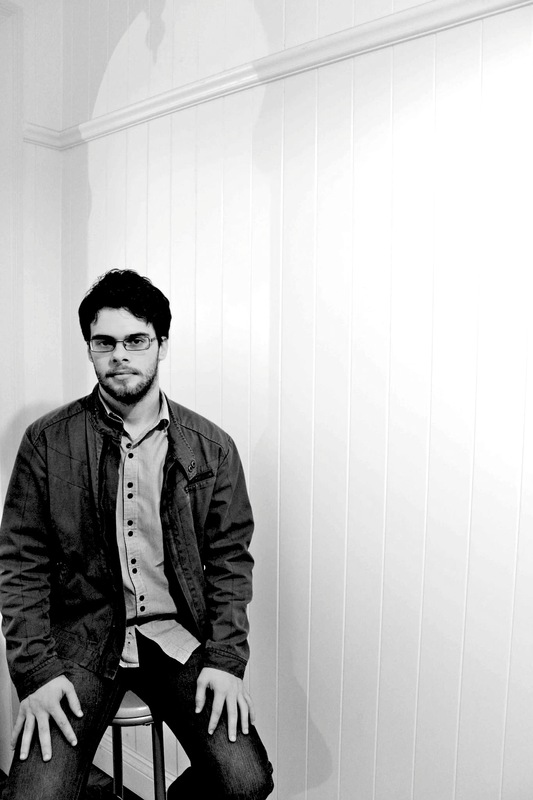 Andrew Ball is a composer and saxophonist based in Brisbane, Australia. With a bold and unique compositional voice described as highly kinetic, visceral, rhythmically intricate, and harmonically colourful, Andrew draws inspiration from an eclectic variety of jazz and improvised music, contemporary classical, avant-garde, and electronic musics. His unique and very personal approach to composition consistently and deliberately extends the limits of instruments and their performers, and aims to challenge attitudes and ideologies surrounding all aspects of context and genre. Recently, Andrew has completed commissions for the Barega Saxophone Quartet, the Queensland Saxophone Orchestra, Collusion, the Argot Project (Melbourne), Diana Tolmie, Lyre, Fulcrum duo, and others. Barega Saxophone Quartet and the Queensland Saxophone Orchestra both premiered Andrew’s music at the World Saxophone Congress XVI in St Andrews Scotland, 2012. Renowned Australian jazz trio Trichotomy performed a collaborative work with Barega SQ at the 2012 Crossbows festival in Brisbane; acclaimed chamber ensemble Collusion recorded Andrew’s music alongside other Australian composers for their 2012 CD ‘I read the old dream slowly’; and the Queensland Saxophone Orchestra recorded two of Andrew’s works for their ‘Australian made’ album. July 2013 saw no less than five of Andrew’s works premiered by separate ensembles at the Australasian Saxophone and Clarinet Conference (various combinations of saxophones, bass clarinet, and electroacoustic playback). Much more sax/clarinet music was written in 2014 for the ‘Colossus’ ensemble (a collaboration between Barega SQ and clarinettists Andrew Kennedy and Annie Larsen). Samples of Andrew’s work can be found here. Andrew continues to enjoy a busy and diverse career performing, writing and educating. As a saxophonist, he holds his A.Mus.A (2008), L.Mus.A with distinction (2010), and B.Mus with First Class Honours. He was a featured soloist with the Divertimenti String Orchestra (2011), performing Richard Rodney Bennett’s ‘Concerto for Stan Getz’; he also participated in the 22nd annual Université Européenne de Saxophone in Gap, France (2011). Andrew currently tours with Brisbane neo-soul band His Merry Men, appearing on their 2012 album ‘Kind of Loud’ and 2014 EP ‘Ruthless’. He is a member of BULLHORN and the Enthusiastic Musicians Orchestra. Andrew is tenor saxophonist and resident composer with the Barega Saxophone Quartet, the Fulcrum duo, and has performed and recorded with the Queensland Saxophone Orchestra, and Con Artists Big Band under the direction of John Hoffman. A number of exciting new works are on the boil… stay tuned for more information! Andrew is available to consider commissions and collaborations.